Aristotle was a Greek philosopher and polymath born in 384-322 BC in Stageira, Chalcidice. He was well educated by the best teachers of the time namely Plato. When he was seventeen, he went under his tutoring by enrolling in Plato’s Academy in Athens which was known as the academic center of the universe. Plato’s Academy was one of the best institutions for education of that time and Aristotle proved himself to be an exemplary student by embarking upon the advanced knowledge given to him by Plato himself who had become not only his trainer but also a good friend. However Aristotle later found himself disagreeing with many of Plato’s ideas which cost him the seat of director of the academy as was expected. After Plato’s death in 347 BC, Aristotle was called to court by king of Atarneus and Assos in Mysia. It was here that he met Pythias whom he married later and had a daughter with her. Aristotle went to Macedonia in 338 BC where he taught the king’s son who was none other than Alexander the Great who was only 13 years old at the time. 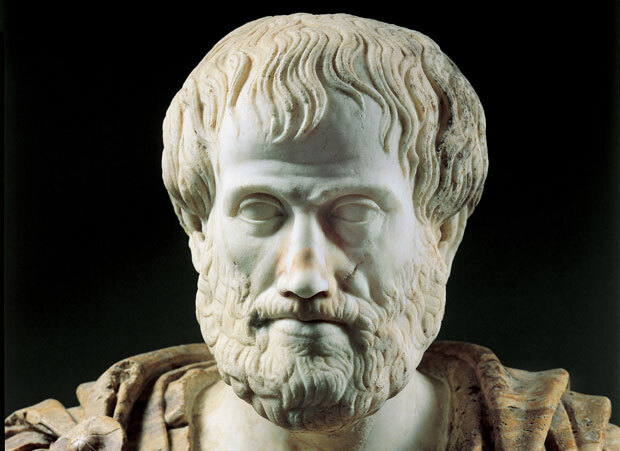 Aristotle was greatly respected by the king and his son and paid him generously for the work he did for the court. When Alexander grew up and succeeded his father as the King, Aristotle asked permission to go back to Athens to start his own school. Thus, going back to Athens in 335 BC, that is what he did. He formed the ‘Lyceum’ and spent the remainder of his life teaching there and doing research work and writing. Various subjects were taught at the ‘Lyceum’ including science, mathematics, philosophy and politics. The students and members of the school recorded their findings in form of manuscripts which made a huge collection of written work making one of the greatest and most valuable libraries. His major writings include records of scientific knowledge, dialogues, systematic works and various observations. His work on logic consists of ‘Categories’, ‘On Interpretation’ and ‘Prior Analytics’ and ‘Posterior Analytics’. Aristotle died in 322 BC due to a disease of the digestive organs. After his death his work remained useless for many years but was then revived in the 1st century. Theophrastus who took over the Lyceum saved Aristotle’s works and passed his legacy on to his student Neleus. Neleus saved the entire work in a vault to preserve it from moisture and insects. This vault was found in 100 BCE by Apellicon who got it back to Athens.